RSVP is a national program, sponsored locally by the Etowah County Commission. We have approximately 350 active volunteers who provide all kinds of community services for the citizens of Etowah and Cherokee Counties. Opportunities range from working with young children to working with other seniors, homeland security issues to free taxpayer assistance, working in thrift stores and food pantries to clerical and office help. Volunteer opportunities also exist for those who prefer not to leave their homes: making telephone calls to the homebound; providing reminders by phone; or knitting or crocheting items for babies or hospice patients. Whatever your interests and skills are, we have a job for you where you will be needed, appreciated, and – most importantly – making a difference! 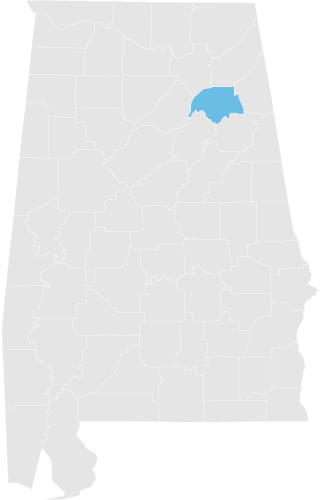 RSVP is a non-profit agency and is federally funded by the Corporation for National and Community Service, the state of Alabama, and at the local level by the Etowah County Commission. 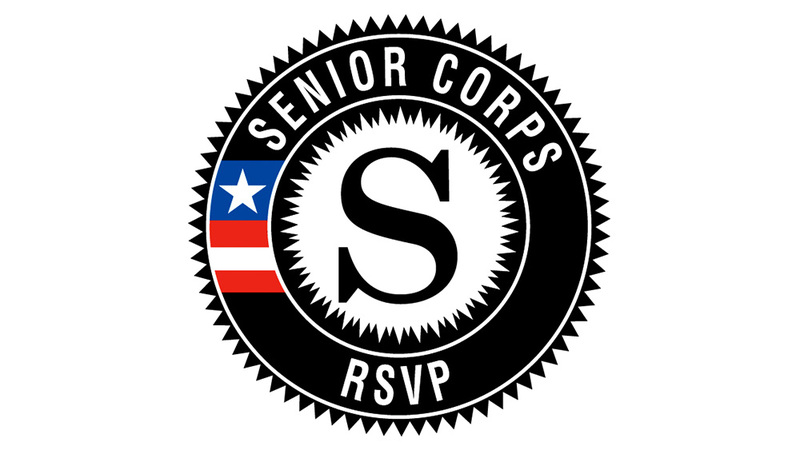 MISSION STATEMENT: RSVP involves senior citizens age 55 and over in volunteer services within their own communities that match their personal interests, talents, and skills gained from a lifetime of experiences. This improves their quality of life while helping the community and those they serve. If you would like to know more about the benefits of becoming a volunteer with RSVP, contact Traci Pondick. These volunteers have monthly meetings and perform different community service projects at regular intervals. Volunteers with this organization work with young people judging 4-H projects, and assisting with community service projects and educational programs. Red Cross is always on the lookout for volunteers to help with blood drives (driving the van & operating the canteen), helping transport supplies after a disaster, helping in the office with paperwork or filing, driving the ERV (Emergency Response Vehicle) to disaster sites, assessing the situation after a disaster such as a house fire. Besides mentoring a child, Big Brothers Big Sisters also need volunteers to design and update a website, helping with events by delivering supplies, setting up and taking down event material, and coordinating and supervising field trips for the children. The local Boys & Girls Club is an after-school home to sometimes over 100 children. Volunteers are needed to answer the phone, help with crafts, or just keep an eye on everyone! The Central-Carver Foundation runs a museum in the Carver Community Center that is committed to preserving the history of Central and Carver schools, and the people who attended these schools. Volunteers act as docents at the museum. Volunteers may be needed in the Parks & Recreation Dept., helping with exercise classes or at one of the community centers in Gadsden, such as Carver, Elliott or Senior Activity Center, setting up and taking down materials for events. Volunteers are needed at this intervention center to help with administrative duties and telephone work. Volunteers with the Council on Aging may be trained and certified to offer counseling & guidance about the financial opportunities and pitfalls faced by senior citizens, the State Health Insurance Program (SHIP) and Medicare Supplements. The El Señor Club is a social club that meets weekly at the Senior Activity Center. Volunteers are members of the club and you may be asked to prepare a meal, assist with clerical work or entertainment, and aid in community service projects. Each of these organizations operates a thrift store, offer free meals to the indigent and financial assistance to help pay rent, utilities or for medicine. They need volunteers to take in and sort merchandise and donated items to be made available to their clients, interview new clients, or help prepare a meal. Volunteers are needed in this office to help with filing, shredding, answering phones and checking the mail. This workstation offers low income citizens of Etowah County assistance with utility bills, medical bills, and assistance for heating and cooling equipment or minor repairs to their home. They need volunteers as greeters and with general office duties, such as answering the phone or filing. Volunteer callers are needed for these workstations. For the Etowah County Council of Community Services & Historical Society, callers remind members of the monthly meetings, and for Tele-Chek, callers make a call to elderly, homebound clients just to make sure they are all right and maybe to remind them to take daily medications. This is a volunteer opportunity that can be done from home. We need volunteers in the morning or afternoon hours to sit at the information desk in the lobby of the Etowah County Courthouse and give assistance to visitors who need directions to a particular department. Volunteers at DHR are needed to help in either the Adult Services or Children Services departments to help with filing and paperwork, answering the phone, organizing and helping with special events. The Pregnancy Testing Center will train volunteers to perform pregnancy testing, counsel young ladies who are pregnant, and refer clients to agencies for prenatal care, housing, or adoption services. Volunteers are needed at the Historical Society to act as guides, showing and explaining displays and their historical significance; and also to help with electronically scanning and organizing documents to help preserve these pieces of history. The Family Success Center strives to be the one stop any person has to make when they need help, whether it is financially, emotionally or scholastically. They need volunteers to help with clerical activities and the intake and assessment of new clients. Volunteers are needed at these workstations for clerical duties, answering phones, data entry, mail outs and helping with events. Our van has a regular route, going to different nursing homes and assisted living homes in Etowah County. Volunteers ride the van to and from these destinations and help with activities, such as bingo, or visiting with residents. The Library needs volunteers to reshelf books, work in the bookstore, helping with children’s or adult’s programs, or scanning old pictures and documents into the computer. Members of the Quilters Guild learn how to quilt, or teach the art of quilting. Some quilts are made to be donated and the Guild also has quilting shows. Volunteers at these two hospitals man the information desks in the lobby and on different floors to assist visitors seeking information by phone or in person; they may deliver mail, magazines or newspapers to patients or clients in the waiting room. Volunteers assist in public relations, announcements, mail outs, lunches for construction volunteers, application screening, or in the actual construction of a home. Head Start needs volunteers to monitor on site visitors, providing them with name tags and retrieving name tags when visitors leave, being sure visitors sign in and out. Volunteers may also be asked to do some simple sewing repairs if possible or tutor or mentor a child. As a non-profit agency with limited funds for staff – volunteers here are a necessity in helping with receptionist and clerical duties, fundraising efforts and special events. Volunteers at this workstation deliver prepared meals to the elderly & homebound. Volunteers at Northeast deliver frozen meals to homebound seniors. They also help with fund raising, decorating for events and covered dish suppers. The primary goal of the Pilot Club is to educate people about the most common ways in which traumatic brain disorders are caused. There is a membership fee to join the Pilot Club, and members volunteer by serving refreshments and entertaining nursing home patients and mentally challenged people, making presentations to school children or about Alzheimer bracelets. Volunteers are needed in local elementary schools to listen to a student read and gently instruct them – thus encouraging better reading skills and comprehension. This is a catch-all category for any type of volunteer work not done through an organization. You may tutor children, sit with an elderly person, go shopping and pay bills for someone who is homebound, bake a cake for a sick person, do minor home repairs or cleaning for a neighbor in need it’s all VOLUNTEERING! This is a group of volunteers devoted to becoming prepared in the case of a disaster, and helping in the aftermath of a disaster. They take classes at the local Red Cross or Emergency Management Agency on how to perform different tasks that need to be in place after a disaster strikes. Volunteers choose what job they wish to perform and are trained for that job. Volunteers work on Wednesdays at the RSVP office providing information and assisting people with completing and mailing applications to acquire many medications free of charge. Volunteers at Senior Nutrition Centers help with meals, setting the tables, delivering meals to the homebound, cleaning up after a meal, programs and presentations. This is a wonderful opportunity to socialize and get to know people. Volunteers serve as instructors and tutors for eight weeks during the summer when children are out of school, which reinforces what they have learned. In this case SWAT stands for Senior Workers Available Today. This is our “on-call” group of volunteers. Whenever there is a one-time-only assignment, such as handling a mass mail-out, organizing a room for a big event, or helping an elementary school with a fun day, these are the people we call on! If you’re good with numbers or computers or both, this is for you! TCE offers free tax preparation services to low income or elderly taxpayers at six sites across Etowah and Cherokee Counties. Volunteers are needed to help with set design, costume design, or acting! The Chamber needs volunteers to act as receptionists and answer a 3-line telephone. Also, there will be many special events and one-time-only needs with this group! Volunteers are needed to drive clients to appointments or interviews; plan or present activities for the residents; present workshop or classes to residents about skills they need; and various other clerical duties. United Way uses volunteers for special events and mail outs. Volunteers at the nursing home assist with activities, such as bingo or entertainment. They also help in the beauty shop or with fund raisers. Volunteers assist in guest registration, exhibit assistance, light clerical assistance including scanning, copying, phone response, mailings and when large groups are present, assist visitors with directions, provide the many eyes needed to subtly assist in assuring the safety of our 15,000 artifact collection, and do other light duties consistent with volunteer assistance. Extended Family is a support group for people who have a loved one incarcerated. Volunteers are needed to help with a children’s program at schools, help with fund raising, knitting or crocheting ‘comfort covers’ for children who have to travel to visit a family member and clerical duties in the office. Volunteers at the hospital man the information desk, deliver mail to patients, and offer a smile and friendly face to those visiting their loved ones. Volunteers help with lunch every day, deliver meals to homebound meals to homebound people, and also help prepare a program or entertain. These volunteers help with clerical duties and scheduling special events at the Recreational Outreach Center. April 15th – Last day to file tax returns! April 18th – RSVP Quarterly Workshop for volunteers! The Pathway Students will be coming to show you how to use your cell phones and tablets. April 19th – Good Friday, Etowah County Courthouse will be closed. April 26th – Council on Aging “Behind the Green Door” Casino Night 6-10 PM 210 at The Tracks. May 27th – Memorial Day, Etowah County courthouse will be closed.